Mental, physical, and spiritual health addressed in the whole person. "They actually want to help you get and feel better"
"The Hixson location is always super fast and helpful." "Saw the doctor very quickly, the nurse/doctor were both very attentive and listened"
"Thank you Tiffany and the rest of the friendly staff. TWO THUMBS UP!" "This is a doctor who thinks outside the box and is very thorough." "The providers and staff care about the patients and take time to address all concerns"
"I get in and out fast with my appointments. They're always helpful and nice!" "I love this office. I'm definitely coming back." "I really enjoyed my time there, (if a doctor's appointment can be enjoyable!)" Fast Access Healthcare is not your typical walk-in clinic. With seven locations throughout Chattanooga, Tennessee and the surrounding suburbs -- including Hixson, Cleveland, and Dunlap, Tennessee -- the staff at Fast Access Healthcare strives to provide high-quality primary care in the urgent care setting. The mission of Fast Access Healthcare is to provide quality healthcare in a safe, secure, and trustworthy environment. They offer a wide range of services to meet your immediate health needs, ranging from treatment for a nagging cough to stitches for small lacerations. They do all this while considering your holistic, natural, and alternative medicinal beliefs. 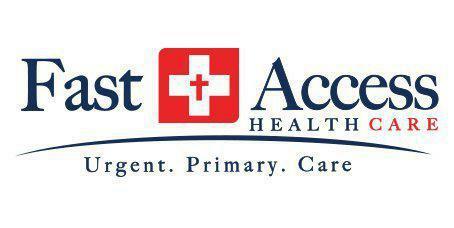 For continuity of care, Fast Access Healthcare is also a primary care clinic. Besides your annual check-up, the doctors can help you manage any of your medical conditions including diabetes, high blood pressure, and heart disease. The clinic also offers a medically-supervised weight loss program. For employers, Fast Access Healthcare provides corporate flu clinics and corporate drug screenings. The professional staff can also come to your place of business for onsite healthcare for your employees. The clinic also offers treatment for pain management, including trigger point injections, joint injections, and TENS units. "Dr. Kerley spent a lot of time talking about my medicines and what i needed to do to get my life in order. He is a wonderful Christian man that loves his patients." "Dr. Kerley and his staff are extremely courteous and professional. They treat you in a compassionate manner and do not rush." "They've been responsive; seem genuinely concerned for my overall health; and I can see a doctor without having to wait longer than a few minutes." "Awesome. Helped me tremendously. I went to the doc because I had no other answers to correct my back pain. They did their due diligence and found the issues." "The clinicians here truly care about their patients and want to see their overall health improve. Comprehensive medical care is provided"
"The staff is wonderful and make you feel welcomed. I have not had to wait long for any of my appointments." "They have a really great office in a very convenient location. I found the staff to be quite friendly and Connie was very knowledgeable." "I was only in the waiting room for a few minutes before called back to see the provider. I was incredibly satisfied with my treatment. I will go back again." "I am always treated with care and respect. I love all the people here and the office is always clean. I bring my whole family here, I trust them that much." Our office accepts a number of different insurance plans. Many more are accepted than are seen here. If you have any questions about coverage, please call our office. We are happy to help!